If you are serious about Amarone, the best way to learn all about this important Italian wine is to book one our guided tours in Valpolicella. In a half or full day itinerary, you will become an Amarone expert, walking the vineyards where the grapes grow, seeing where the Appassimento (grape drying) takes place, visiting the cellars where the wine rests inside large wooden barrels and sampling various types of Amarone to learn about its characteristics and styles. However, if you do not have time to come to Italy, or you have not planned your trip yet, you should read this guide, currently the most complete on the web. Oldest bottle of Amarone – on display at the Cooperative Winery of Negrar (Cantina Sociale di Negrar). In spite on what many believe, Amarone is a fairly recent wine. According to the legend, Amarone was “discovered” in 1936, in the cellars of Villa Novare (now Villa Mosconi Bertani), then the headquarters of the Cooperative Winery of Negrar. In those years the best product of Valpolicella was Recioto, a sweet wine made from semi-dried grapes that is still produced today. Cellar master Adelino Lecchese discovered a barrel of Recioto he had forgotten in a corner of the cellar. He feared that the sugars had all turned into alcohol, and that the wine had become dry, bitter and basically undrinkable. He tasted it and to his surprise he immediately realized that the wine had become dry indeed, but that it was also extremely pleasant. 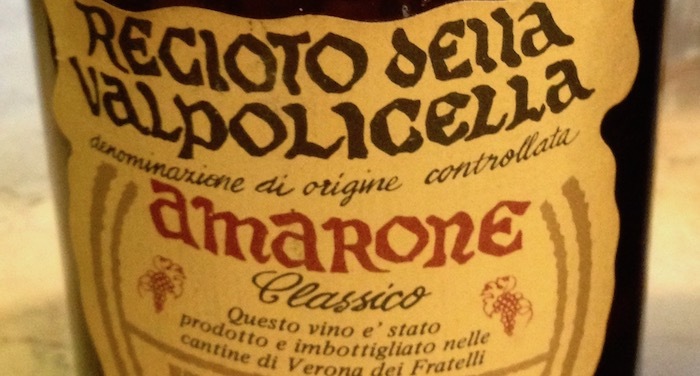 Apparently the name Amarone was born that moment, when Adelino shouted: “This wine is not amaro, but an Amarone!” (“amaro” being the Italian for bitter, and the ending “-one” the augmentative/ameliorative suffix). Villa Novare, today named Mosconi-Bertani. Built in the 1700s in neoclassic style, in the center of a beautiful valley coverd by vineyards on the eastern side of Valpolicella Classica. 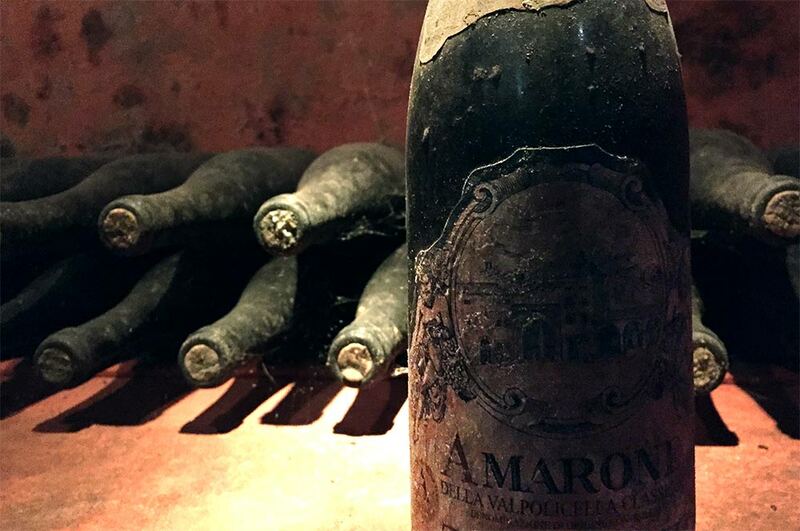 In its grand cellars Amarone was born by chance in 1936. 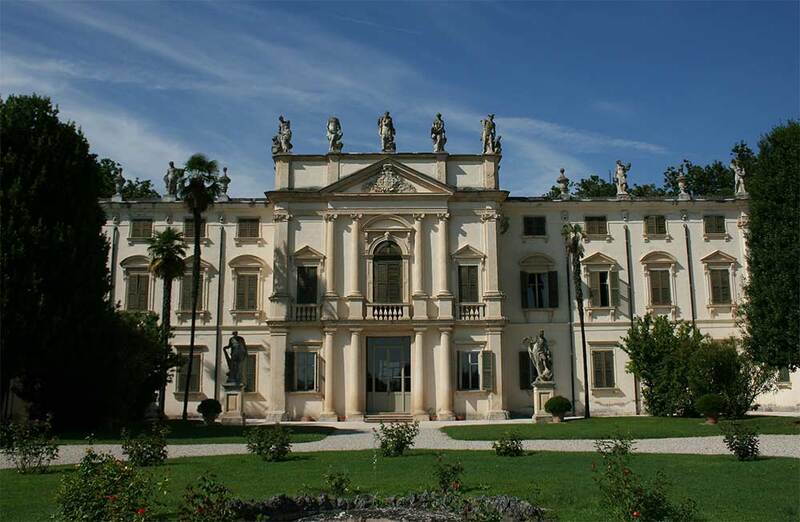 Today Villa Mosconi-Bertani continues to be a winery. Visits and tastings are possible upon apointment. The first bottles with the name Amarone on the label appeared few years later, in 1939. The very first bottle is on display at the cooperative winery Cantina Valpolicella di Negrar. In 1953 started the production on a regular basis. In ancient times, grapes used to dry hanging from ropes. Some wineries are still keeping the tradition alive. It wasn’t uncommon for Recioto to become bitter because of the rudimentary techniques used to stop fermentation before all the sugars were trasformed into alcohol. We could almost say that Amarone has always existed, at least since Recioto existed, that is more than two thousand years. Recioto is probably something very similar to the so-called Rhaetian Wine, which was produced in a region of northern Italy that includes the current Valpolicella and that the Romans called Rhaetia. This wine was so well known in ancient times that Cato (234 BC – 149 BC), Virgil (70 BC – 19 BC), Pliny (23 AD – 79 AD) and other Roman poets and writers praised it in their books. Svetonius (70 AD – 122 AD) states that the Emperor Augustus himself appreciated it (“De Vita Caesarum” – About the life of Emperors). Romans loved sweet wines so much that they even added honey and spices if they were too dry and sour. In the fifth century AD, Cassiodorus, minister of Theoderic the Great, king of the Ostrogoths, in a letter describes a wine produced in Verona with dried grapes. He suggests to his king to try, once there, this wine «…dense and fleshy… with a regal colour and an incredible sweetness…». Natural sweet wines like Recioto are obtained by artificially stopping the action of yeasts during fermentation, so that not all the sugars inside the must are transformed into alcohol. Today, with modern winemaking techniques and tools, this is easily achieved, but in the past the action of the enzymes was not always properly stopped. It was not uncommon for a sweet wine, stored inside a not perfectly sealed cask, to continue to slowly ferment so that all the sugars contained in it were transformed into alcohol. The result must have been rather disappointing for the winemakers of the past who, expecting a sweet nectar, ended up with a very dry wine, which in contrast to their expectations felt bitter on the palate. Such a “bitter” wine in a world where sweet wines were appreciated did not have much market, and it was sold for cheap, given to servants or used for cooking. This would explain the origin of some traditional Veronese dishes that require large quantities of Amarone such as Pastissada, horse meat stewed in Amarone, or Amarone risotto. Only in recent years, with the change in tastes of wine lovers, Amarone has become famous, appreciated, and expensive. If it had been so since the beginning, they wouldn’t have wasted it for cooking. Consumer tastes change with time and gradually, towards the end of the 19th century, dry wines began to spread, and what was previously considered a mistake, gradually began to be produced intentionally. At the beginning on the labels the indication was Recioto Amaro (Bitter Recioto), then came Recioto Amarone. And it was only in 1990 that Amarone finally gained its independence from Recioto and got its own identity on the label. Since then Amarone has continued to increase in popularity, becoming one of the most famous and appreciated wines not only in Italy but all over the world. Label of a 1980 vintage Amarone. It is clearly visible the denomination “Recioto della Valpolicella” of which Amarone was a sub-denomination. Since the 2010 vintage, Amarone has obtained the DOCG certification, the highest mark of control and quality for Italian wines. The full name is “Amarone della Valpolicella” which is to all intents and purposes a registered trademark protected by international laws. In order to use the “Amarone della Valpolicella” denomination on the label, a winery, in addition to having the vineyards within the boundaries of the area designated for the production of Valpolicella, must follow a series of very specific rules that establish every single aspect of production: from the type of vine, the duration of the drying of the grapes, the aging time, etc.. Consorzio di Tutela del Valpolicella (www.consorziovalpolicella.it), the association that groups together all the producers, is responsible for the drawing up of these regulations and of their implementation by wineries. It is important to underline that the rules of the DOCG establish only the minimum quality parameters that a producer must meet to obtain the right to use the denomination. Each wine maker can then decide to do more and better. Valpolicella wine producing area, which is where Amarone is made, is divided into two macro-areas: Valpolicella Classica (historical Valpolicella) and Valpolicella Allargata (extended Valpolicella). It is possible to determine where the wine has been made by looking at the bottle. 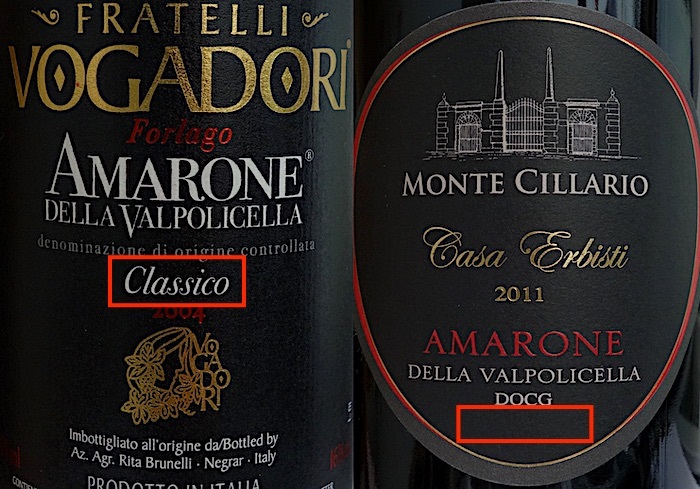 Wines from the historical area will have “Valpolicella Classica” or “Amarone Classico” on the label, wheras wines from the extended area will only have “Valpolicella” or “Amarone”. It is the region that gave the name to Valpolicella wines, including Amarone, where they had their origin. It is a not very large hilly area between the city of Verona to the east, and the valley of the river Adige to the west. The shape reminds of an upside-down left hand, where the fingers are hills, and the spaces between one finger and the other four parallel valleys that run from north to south towards the plain. Each valley its named after the small-town that lie at its bottom: Negrar, Marano, Fumane, Sant’Ambrogio, plus a fifth that closes the border of the production area to the south: San Pietro in Cariano. Subtle variations in the composition of the soil, differences in altitude, exposure to the sun and wind, give a fairly distinct caracter to the wine produced in each sub-area. Competition between producers and territories is obviously very fierce, and of course everyone says they produce the best Amarone. Whether an Amarone has been made in the historical or in the extended production area will show on the label. Amarone from the Valpolicella Classica have the word “CLASSICO” written on the label, those coming from the Valpolicella Allargata, don’t. When the demand for Valpolicella wines started to increase around the end of the ’60s, especially because of foreign demand, it was decided to expand the production area to supply the increasing requests. Going eastwards from Verona, the enlarged area consists of the valleys of Valpantena (that is a sub-denomination of the extended Valpolicella area), Mizzole, Marcellise, Mezzane and Illasi. Valpolicella Allargata borders Soave wine producing region on its eastern side. Although initially the wines from Valpolicella Classica were considered better than those from Valpolicella Allargata, in fact this region has always had its own history and independent dignity when it comes to wine making. In the extended area there are some of the most prestigious cellars of the denomination, both old and new. For example Bertani, a winery that has made the history of Veronese winemaking, is located in the valley of Valpantena. And Romano Dal Forno, who produces some of the most prestigious (and expensive) Amarones, is in Val D’Illasi. Today, the quality of the wines of Valpolicella Estesa is in every way comparable to those of Valpolicella Classica, and the only difference is in the name. More than the production area itself (Valpolicella Classica, Valpolicella Valpantena, Valpolicella Estesa), what determines the quality of an Amarone is the location of the vineyards within that area. A good wine can be made in the cellar, but a great wine is always made in the vineyard. When you are looking for a special wine it is important to know where the grapes that have been used to produce it come from. 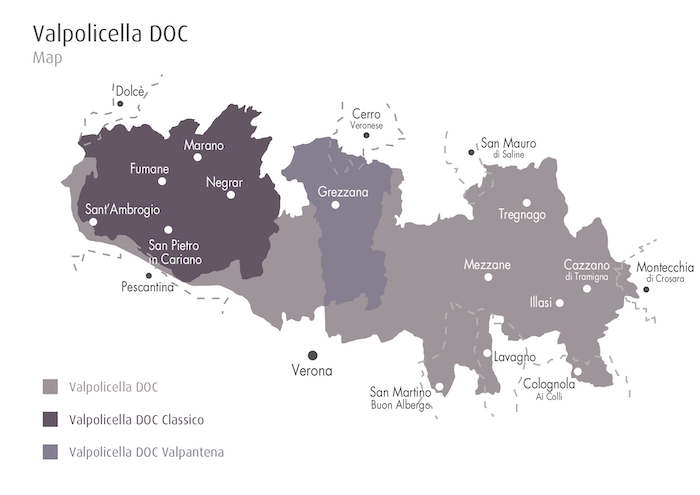 A more useful map for this purpose could be the following one that represents Valpolicella viticultural sub-areas. 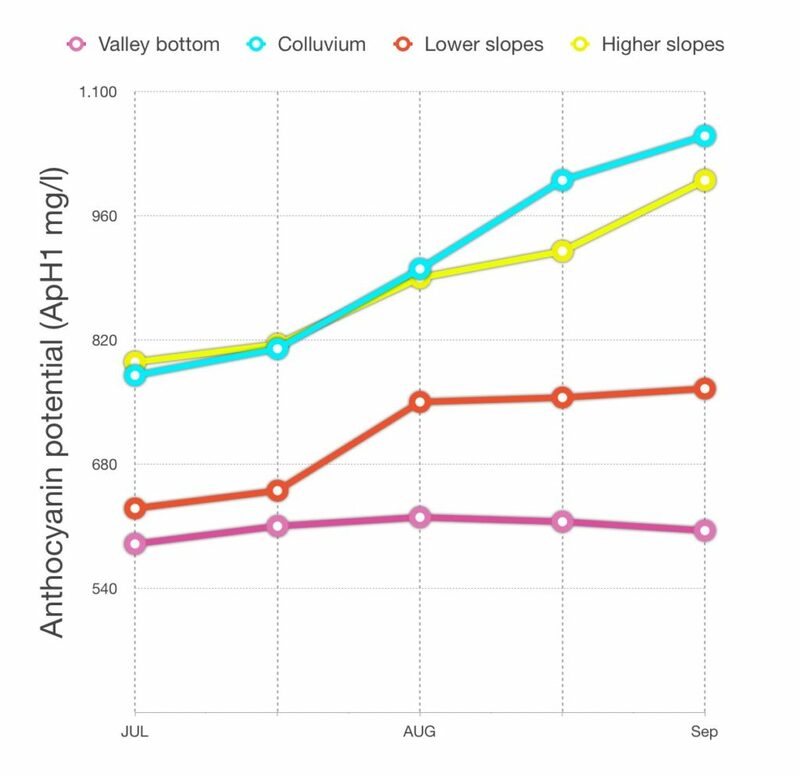 Each one is different for altitude, soil composition, steepness of the slopes. Which makes things far more complicate. It shows, within Valpolicella, the areas most suited to the production of quality grapes. The territory of Valpolicella is in fact very varied, for altitude, soil composition, sun exposure, ventilation. This obviously has a great impact on the final product, since we know that the vine gives its best in soils that are not too fertile, with good drainage, ventilation and as much as possible exposed to the Sun. The 4 main sub-zones can therefore be identified in broad lines, taking into account that boundaries are not alwasy clearly marked and even within the same vineyard there can be many subtle variations. The hills of Valpolicella are carved out of a thick plateau of solid limestone that in some points can be 1.500 m (4.900 ft) deep. 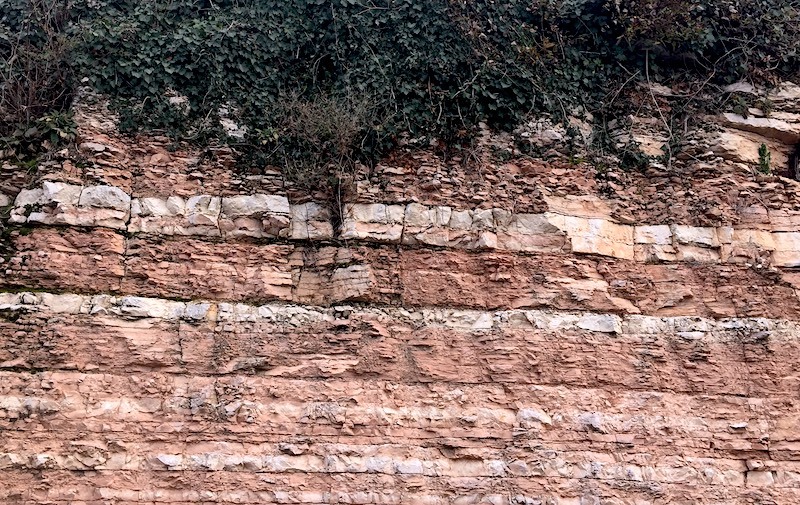 The stratigraphy of the area includes marine deposits that have built up over more than 200 million years, from Triassic to Miocene. Rocks, often rich in fossils of ammonites, crabs, sea urchins, range from clayey limestones to marls and calcarenites. In some areas there are also volcanic soils, remains of ancient underwater activity. In light purple on the map. It is the lowest elevation part, less than 150 m (500 ft) above sea level (A.S.L.). Slightly undulating, characterised by a deep, fine soil, rich in alluvial deposits with plenty of sand and gravel. In summer these areas reach high temperatures, with poor ventilation, which can cause heat stress to the vine and consequent reduction of photosynthesis. Grapes from this area tend to have lower sugar content, lower acidity and polyphenolic content compared to those grown on hill sides. Resulting wines are usually less astringent, less bitter, acid and herbaceous than average. Although not very complex, they still have good fruitiness, with hints of cherry, raspberry, rose and violet. These wines do not have a great longevity after bottling because of the low acidity and tannin content, but are usually ready to drink earlier because of their softness and roundness. The wines from this area represent around 30% of total Valpolicella production. During a three-year period (2005-2007), the behaviour of 30 sample vineyards located in the different geoclimatic sub-areas of Valpolicella was evaluated. The aim was to assess the viticultural and oenological responses of the two main varietals of grapes used for the production of Amarone: Corvina and Rondinella. 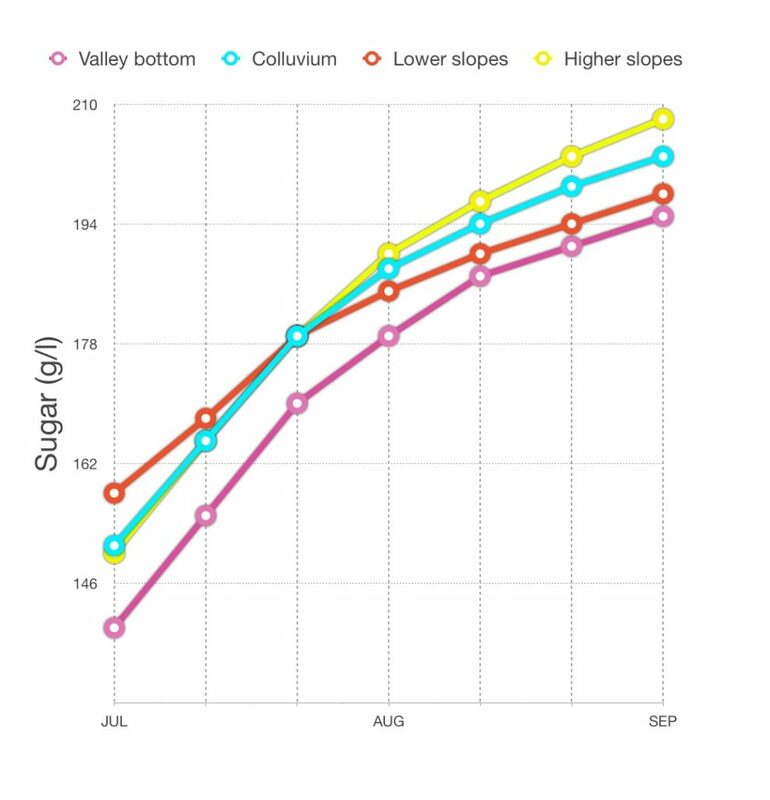 The chart shows the average accumulation of sugars in the grapes cultivated in the four sub-areas. A higher sugar content corresponds to a fuller maturation and will result in a higher alcohol percentage at the end of fermentation. In light blue on the map. These are the areas surrounding the hills at altitudes above 200 m (650 ft) A.S.L.. They are formed by the deposits accumulated with the erosion of the steepest rocky slopes, by the action of precipitation and landslides. They form a connection between the steep limestone cliffs and the flatter part of the valley bottom. Soil depth is between 80 and 150 cm (2.5 – 5 ft) with abundant rock fragments. These are densely planted areas although there may be some qualitative variability depending on the altitude. In particular, wines produced with grapes from the upper part of colluviums develop a higher sugar and polyphenolic content with a rich and intense aromatic profile. Thanks to good ventilation that provides cooler temperature in summer, acidity and tannins remain high, giving wines a nice structure with greater astringency, bitterness and acidity that make them suitable for longer aging. Around 5% of the production. The chart shows the average accumulation of potentially extractable anthocyanins in Corvina and Rondinella grapes grown in the sample vineyards located in the four subzones. Anthocyanins are the compounds responsible for the color of the grapes and consequently of the wine. They have antioxidant function and develop with Sun exposure. Vines on hillside tend to have higher Sun exposure than vines grown on flat vineyards. In red on the map. These are the hill sides with a gradient that ranges between 15-30% and 5-15%, often terraced. The soil is around 50-100 cm (2 – 3 ft) deep made of up to 40% of limestone with a very good drainage. Grapes usually develop a good sugar and acid content although resulting wines are not always particularly complex. Around 10% of the production. In yellow on the map. These are the slopes and apical surfaces of Valpolicella hills with gradients that range between 15-30% on hill side, often terraced, and 5-15% of hill tops. 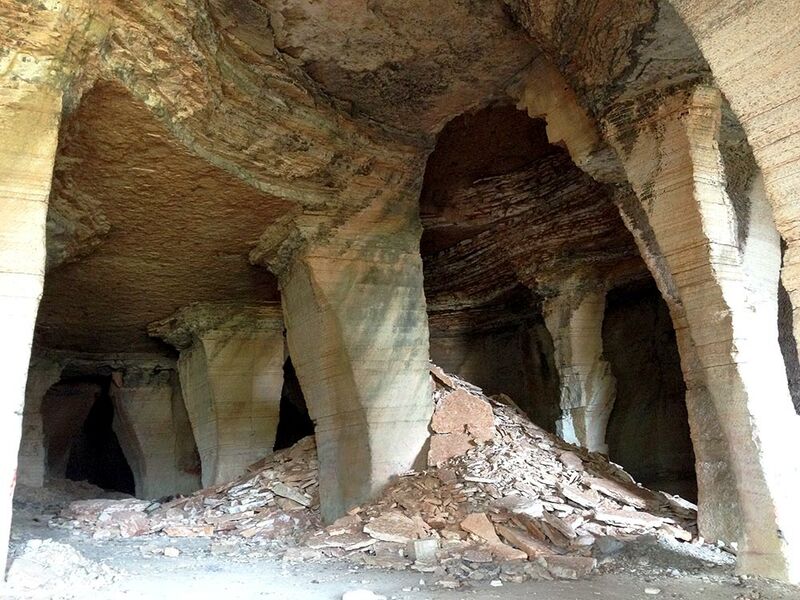 The altitude is between 100 and 200 m (330 – 650 ft) A.S.L., the soil is often shallow, resting on solid bedrock made up of sandstone and marly limestone. In these areas grapes devolop a high sugar and polyphenolic content with good acids levels. The wines made with grapes from of the high slopes are characterized by greater astringency, acidity and herbaceous notes that make them good for food pairing and long aging. Around 38% of the production. An ancient quarry of Valpolicella. In the highest part of Valpolicella the limestone plateau is so thick and compact that marble has been extracted since Roman age. The Arena, the Roman amphitheater of Verona, is entirely made with the stone of Valpolicella. In dark blue on the map. Areas where the high altitude, the soil lack of depth and composition makes very difficult for the vine to grow for commercial purpose. These areas are often covered by grass or shrubs. In recent years, thanks to deep excavations, terracing and modern watering systems, it has become possible to grow vines in some of these areas although results are still difficult to evaluate. It is not always easy or possible to know where, within Valpolicella the grapes used to make a specific Amarone come from. Actually, production regulations allow cellars to write on the label the name of the vineyard that they own. Nevertheless, unlike the French cru classification system, this doesn’t automatically certify the higher quality of a particular wine. The ownership of every vineyard is certified, but no one checks if, for a specific vintage, the grapes from there end up in one Amarone or in another one from the same cellar. Things will probably change in the future but for now, this means that if you want to buy something really special, you need to do some research on your own. Which makes things more exiting. By law, small family-run cellars must produce wine with at least 2/3 (66.6%) of their own grapes. Knowing where the vineyards of this type of wineries are located gives the reasonable certainty that most of the grapes they use come from a certain area, and therefore you should expect their wines to have certain characteristics. This type of wineries are registered as “Azienda Agricola” (agricultural company) and you will find these words on their labels. On the other hand, large wineries with mass production have vineyards, owned or rented, scattered throughout the territory of Valpolicella, at various altitudes, with various Sun exposures and soil compositions. These companies are also allowed to buy large quantities of grapes, fresh and dried, must, wine, according to their market needs. Their basic product is therefore the result of blendings whose purpose is also to give their Amarones consistency from year to year. By varying the percentage of grapes coming from various areas of Valpolicella, the oenologists of these big wineries are in fact able to balance acidity, polyphenols, alcohol, tannins, and all the other components of the wine, in order obtain a taste and a style recognizable over time and with few variations between different vintages. This is often one of the secrets of their success. However, over the years, many large wineries, besides their basic Amarone, have been introducing wines made with grapes from single specific vineyards, selected from those most suited to the production of high quality grapes. This is the case, for example, of Masi, which alongside its famous Amarone Costasera, has two very limited productions of single vineyard wines produced in the upper Negrar valley: Capolongo and Mazzano. Allegrini, in addition to its classic Amarone, has introduced a special Amarone Riserva, made with grapes from the Fieramonte vineyard. Tommasi, which with only the grapes of the Groletta, a vineyard particularly suited to the production of high quality grapes, makes the Amarone Riserva De Buris. These wines, in addition to greater complexity and aromatic richness, usually have high aging potential, both in cask and in bottle, and can vary greatly in aromatic profile and structure depending on the vintage. Produced in limited quantities, they are unfortunately also much more expensive than normal Amarones. Amarone is among the wines that can age longer in the bottle. Any Amarone, from the moment it is bottled and put on the market, can easily remain in the cellar for 10-15 years. This, of course, provided that the storage conditions are correct. Temperature around 16-18 °C (60-64 °F) all year round with very little temperature variation, darkness and humidity around 60%, bottles kept horizontally. We can say from experience that bottles of Amarone kept vertically at home at room temperature, with hot Summers and cold Winters, remained excellent after years. Of course we also have to add the disclaimer: “don’t try this at home”. Particularly favorable vintages from wineries that make long aging in large casks, can easily age for 20-25 years and in this case the storage conditions, if you want to have a good experience when you decide to uncork it, are very important. Bertani winery for example, still has on sale some old vintages from the ’60s and ’70s, guaranteed in conditions of perfect drinkability. If you want to be sure without trying your luck, whether you can keep your Amarone in the cellar for more than 15 years or it’s better to drink it, the only way is to know the producer and how he works. Wineries usually conduct regular tastings of their old vintages, keeping record of how their wines evolve. We always suggest to contact them for advise. They will be happy to help. When you choose to buy an old vintage or when you decide to leave a bottle of Amarone to age a few years in your cellar, a very important thing to keep in mind is that wine is alive, and continues to evolve in the bottle. A wine aged twenty years will be very different from a wine that has just been bottled. The color will change. From bright ruby red it will gradually shift to garnet, and then it will turn to brick color with orange shades. Above all, it will change the nose and palate. A young Amarone still retains many fruity hints of cherry, maraschino and black currant jam. An aged Amarone will have more spicy aromas, with hints of tobacco, leather, ground coffee. An older vintage over the years will tend to turn to earthy aromas such as old wood, dried mushrooms and violet, tar and turpetine. Being aware of what you like is important to be sure to open the bottle at the right time. Amarone is a full-body red wine with a big structure and high alcohol content that nowadays easily exceeds 15%. When it comes to food matching, the same rules used for this type of important red wines apply: stew, braised meat, game, red meats with rich gravy, mature, tasty cheese. However, unlike prestigious wines made with Cabernet, Sangiovese or Nebbiolo, what makes Amarone so unique, is its great and very typical softness and roundness since a young age. Thanks to the particular drying process, and the long aging in barrel, Amarone is normally ready to drink few months after bottling. It generally doesn’t need long years of bottle-aging to tame rough and sharp tannins as it often happens for many other wines in the same price and prestige range. And this doesn’t mean at all that is a light and easy wine. Someone called Amarone a steel fist inside a velvet glove. These characteristics make it particularly versatile when it comes to food pairing. Despite the high alcohol content, some particularly elegant Amarones can be easily matched with more delicate dishes than the usual stew of wild boar. In the last twenty years, due to its growing international success, Amarone has also seen the prices of its bottles rise dramatically. Nevertheless, there is a wide variety of prices on the market with considerable differences between one bottle and the next, which can range from 15 to 250 euros per current vintage. Such a price disparity often causes great confusion when it comes to choosing a bottle on the shelf. We will try to make a minimum of clarity here by providing the tools to make informed purchases. As we have repeatedly pointed out in this guide, the regulations of the DOCG set only the minimum parameters of quality. 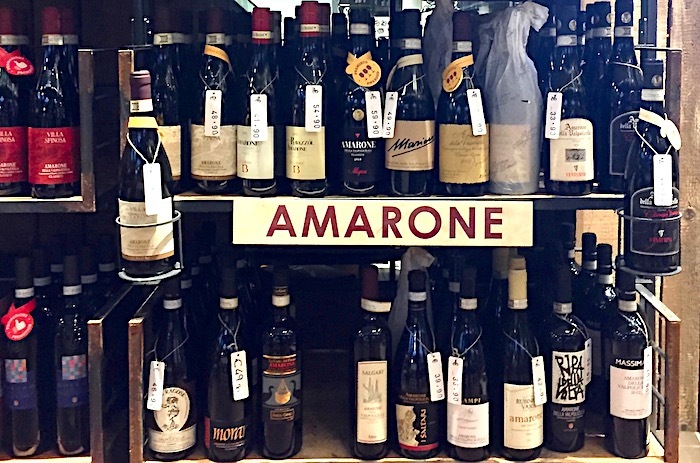 In a supermarket or wine shop, when choosing an Amarone from the shelf, if you do not know the winery and the vintage, the DOCG tag guarantees that the wine has all the requirements to be classified as Amarone. 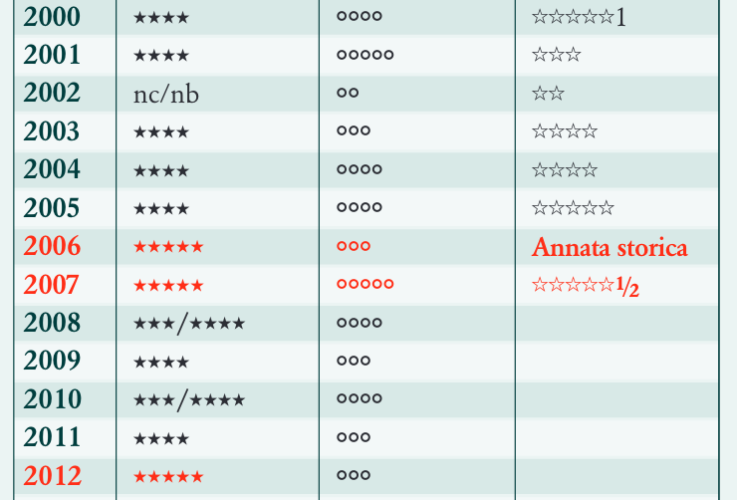 Unlike France cru system, Italy doesn’t have a quality classification determined by law. Italian DOCG and DOC denomination system tells you if the wine meets the minimum standard of the denomination but doesn’t tell you how good the wine is. This give more flexibility, helps to contain the prices but also means that you need to take the chance or to do your own researches. Knowing how to read the information on a bottle is important to avoid frauds and make a concious purchase. DOCG tag on the neck on an Amarone bottle. From the year 2010 onward Amarone became a DOCG (Denominazione di Origine Controllata e Garantita) denomination wine. This means that starting from this vintage bottles have a special tag glued to the bottle neck, either horizontally or vertically. The tag has two yellow bands and DOCG written in white on a brown square. It also reports bottle unique identification number and the symbol of Italian Ministry of Agriculture that issued the tag. Vineyards where it is possible to grow grapes for Amarone must be registered on the special DOCG registry, with the maps that indicates its area, shape and characteristics. Since minimum and maximum limits of production per hectare are established by the production regulations, it is possible to estimate how many bottles can be produced for every specific vineyard. This estimate is then adjusted every year on the basis of climatic conditions and any other growing issue that may affect the quantities of grapes. 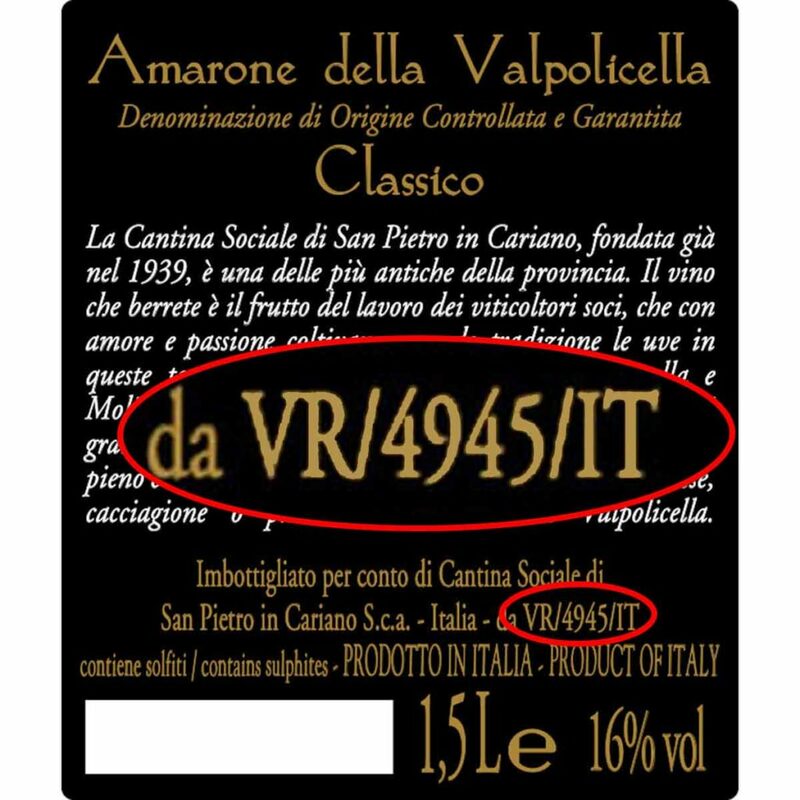 Once the maximum production classifiable as DOCG for each winery has been determined, a corresponding amount of tags is issued. Each tag has a code that identifies the bottle, the winery that produced it, the year and other additional information. Bottles of vintages from 2006 to 2009 will have a similar tag but with blue bands and the denomination DOC instead of DOCG. The rules for the DOC denomination are quite similar to DOCG but a little less strict. Bottles of vintages before 2006 will have no tags on neck but will show the acronym DOC or the full denomination Denominazione di Origine Controllata, on the main label or back label. 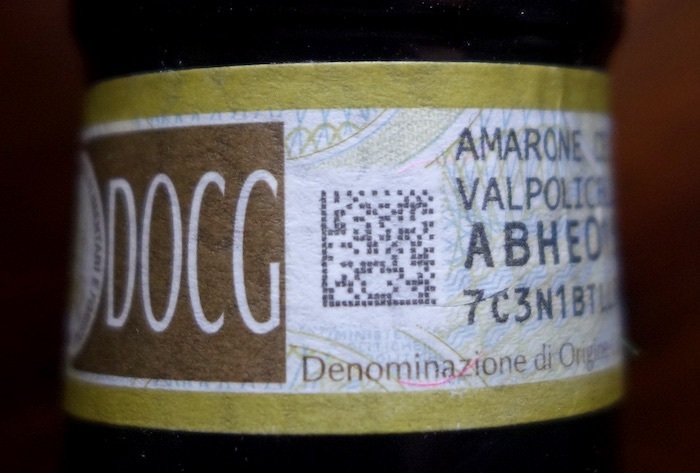 Fraud is unfortunately always possible, and fortunately it is often discovered and severely prosecuted, but in principle, if an Amarone has the DOCG numbered label (for vintages from 2010 onwards, DOC for those before) it means that it has passed the quality controls to be certified as Amarone. These include both chemical-physical analyses carried out in a laboratory, and tastings by groups of certified sommeliers who must determine whether the organoleptic characteristics of the wine fall within the minimum parameters of classification. There is a third party organization that conduct random tests and controls at any stage of production, from the vineyard up the final bottling. For Amarone and other Valpolicella wines this organization is Siquria. If you have any doubt about the Amarone you purchased, send us a message, with a clear picture of label, back lable and neck tag, and we might be able to give you some adivse. Those who are familiar with French wines, probably know the word négociant. The négociant is a merchant. He doesn’t own vineyards, doesn’t produce wine, but buys it directly from producers, sometimes blends it, bottles it with his own label and sells it, mostly on foreign markets that small producers may struggle to reach. This is a phenomenon that is spreading also in Valpolicella. It happens more and more often that we are contacted by a customer who has tasted an Amarone that he liked and asks us to book a tour at the winery that produces it. He gives us the name of the company that he reads on the label, but, in addition to never having heard of it, we found out that it does not correspond to any winery in Valpolicella. If you know how to read the information on the bottle, most of the time you will discover that it is not a fraud (even if it may happen) and you can easily track the origin of the product. 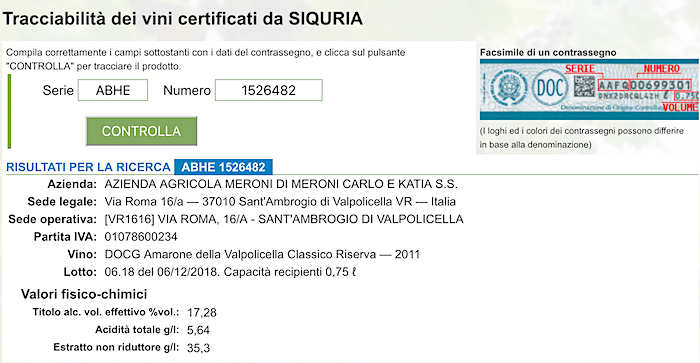 If the bottle has the DOCG tag with the identification number, almost certainly the wine is authentic and certified and you just need to enter the code at the link we provided in the previous paragraph to know everything about the wine. Private label Amarones are not necessarily of lower quality. Some négociants in fact have long-term contracts with producers, which guarantee them certain quality standards, often taylor made to better suit consumers’ palate of specific markets. These type of Amarone can even be placed in a rather high price range. However, in most cases it is unlikely that a winery will sell its best product to a nécociant, but will instead try to bottle and market it under its own brand. It is often a second-grade Amarone that ends up in private label bottles, a wine that maybe a renowned winery prefers not to market under its own brand, or surplus production that a cellar struggle to sell. 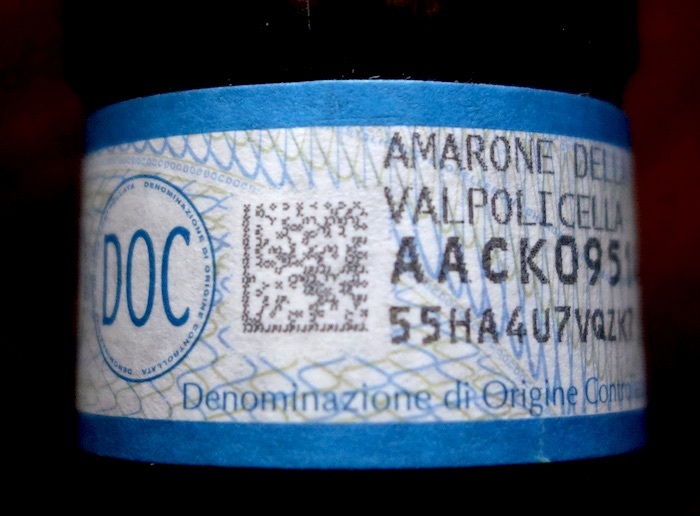 In any case, if you tried an Amarone whose winery you cannot identify, or regarding which you have doubts, send us clear, high definition images of label, back label and tag of the bottle neck and we will be able to tell you who actually produced it or, in the worst case, if it is a fraud. It is a general rule of the economy that the price of a product is determined by what the buyer is willing to pay for it. This of course also applies to wine and Amarone. If it is almost always true that a too low price is an indication of a rather simple product, a very high price will not necessarily reflect the high quality of the wine. The price of an Amarone certainly depends on some production factors. 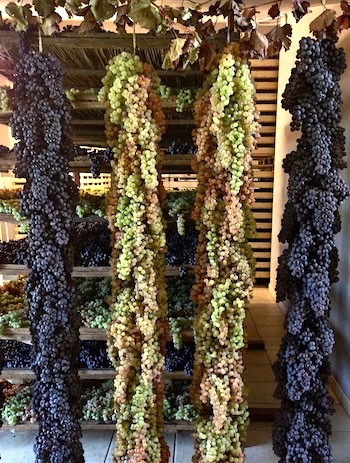 Very low yield per hectar and long drying of the grapes will reduce the volume of the resulting wine, increasing its concentration but also its final price. Another element that determine the final cost of an Amarone is the time spent in cask for aging. Producing Amarone costs money. Cellars invest a lot in the production of grapes, harvesting, buying barrels, etc.. Having the wine stucked in the cellar to refine for years means moving away in time the moment when you will regain the money invested. The wineries that leave the wine in the cellar for a long time do so to have a product of superior quality, but this of course has a cost. The prices reported in this short guide refers to the price you pay a bottle at the winery or in a retail store in Italy. Depending on the country of destination, if you include transportation, taxes, duties, distribution and retailer recharging, the figure should be increased by 50-100%. This will be doubled or tripled in a restaurant. In this guide we believe we have well illustrated how laborious it is to produce Amarone. Production limits, manual harvesting, specialized personnel able to select the right bunches, reduction of up to 40% of the final volume due to drying, long aging in barrels. All this work is inevitably reflected in the final price. Excluding frauds, in order to be able to go below certain prices, the wine must be a mass product at the limit of the minimum requirements to be called Amarone. That is why we do not recommend buying Amarone that costs under 20 euro per 0.75 bottle. The price refers to retail shelves in Italy. In the price range 15-20 euro you can find excellent Valpolicella Superiore and Ripasso. We strongly recommend to enjoy an excellent Ripasso rather than a mediocre Amarone. Even if it is an important information to determine the quality of the wine and its value, the time of aging in cask is not information that the producer is required to report on the label. The year on the bottle always indicates the harvest. It is therefore possible to find Amarones from old vintages, aged in cask for the minimum of two years required by the regulations, which were then left in the bottle for the rest of the time. Although the wine is also aged in the bottle, this is a different type of ageing. When we write (end of 2018), as a general rule (to which there are obviously exceptions), you can find excellent Amarones, young, with 2-3 years of aging in cask, in the price range 20 – 30 euros per bottle. Mature Amarones, with 4-6 years of aging in cask, greater complexity and intensity, in the range 40-60 euros. Above 80 euros per bottle you enter a price range in which the cost of a bottle is justified by the value we give to that particular wine or by the prestige of a famous and recognized brand. If we like it so much, we find it so unique that we think we won’t find anything like it anywhere else, then the expense is justified. As always, we talk about the cost of purchasing directly from the cellar. Unlike some French or American wines, the price of Italian wines does not vary depending on the vintage. As we said, in recent years the price of Amarone has been increasing but this has been a progressive process without major variations from year to year, and especially without price decreases for years in which production is abundant and quality is poor and sudden increases for years with limited quantities of high quality. This of course applies if we consider the purchase in the cellar. In the secondary market there may then be variations based on the reload or discount that the retailer applies. Of course, for very sought-after old vintages that are now sold out, prices may rise. In this case, however, it is important to emphasize that a bottle has value only if the wine inside is in perfect condition. For the purchase of old vintages you should always and only contact trusted retailers who guarantee that the bottles have been stored in the right conditions of temperature, humidity, darkness. Discover the history, the legends, the wine making secrets and all about Amarone and other Valpolicella wines with Amarone Winery Tours. All our guides are passionate about their territory and wines and will take you through a unforgettable tour around the many wineries of Valpolicella. Amarone Tours is specialized in small party, tailor made winery tours and will take care of everything: transport, booking at wineries, organization of tastings, lunch, English translation and even wine shippment. You only have to relax and enjoy your favourite wine.